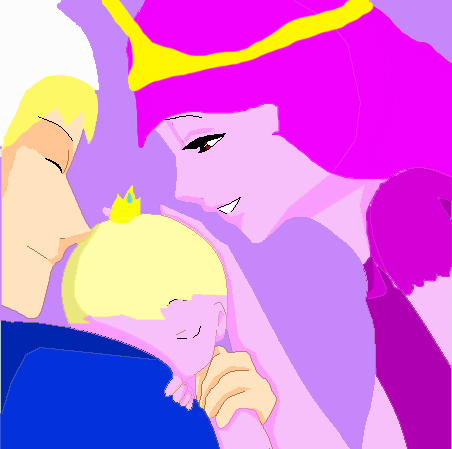 Finn And PB's Newborn baby girl,Pearl. This picture really shows how Pearl first got raised oleh Finn the Human And Princess Bonnibel Bubblegum fifteen years yang lalu on the old ooo.. Wallpaper and background images in the steven universe club tagged: photo non-copyrighted images. This steven universe fan art might contain anime, komik, manga, and kartun.